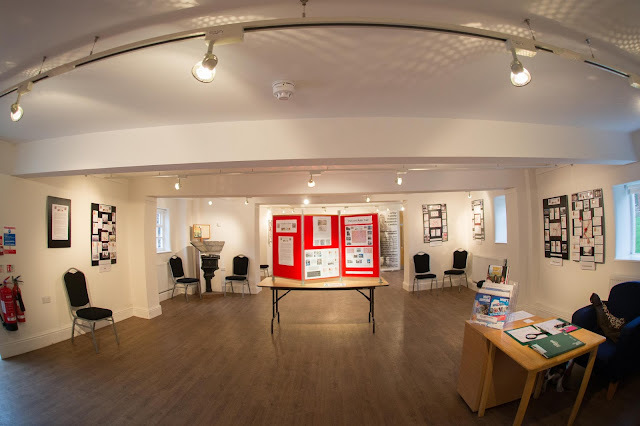 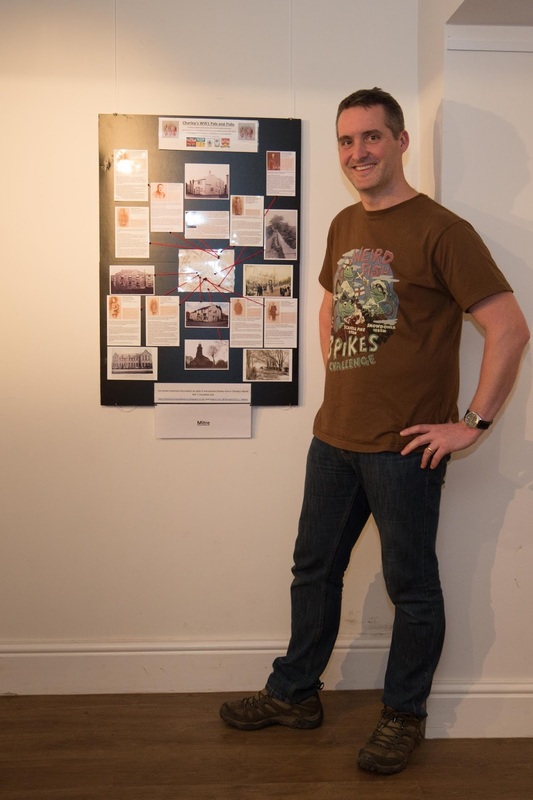 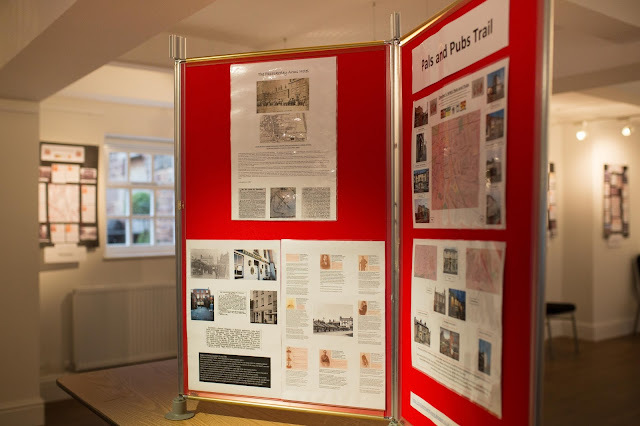 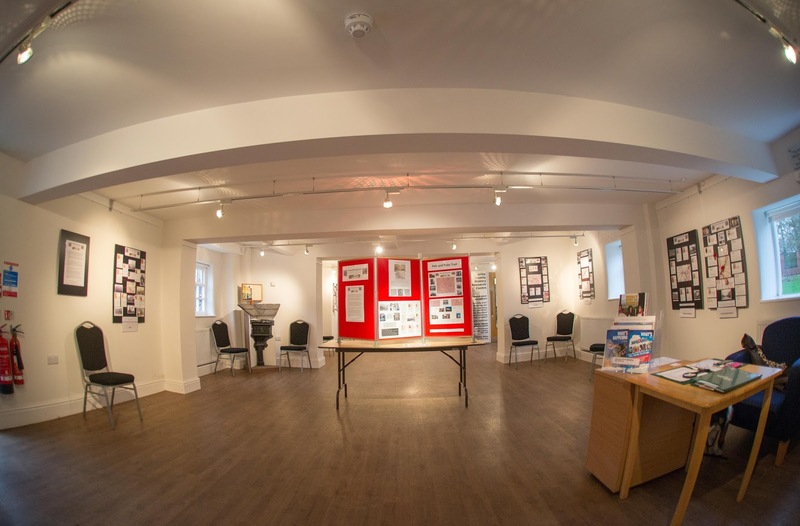 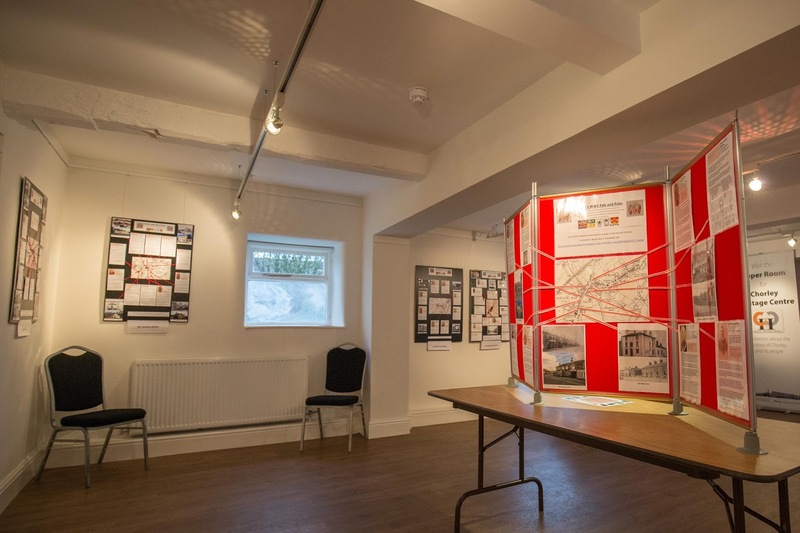 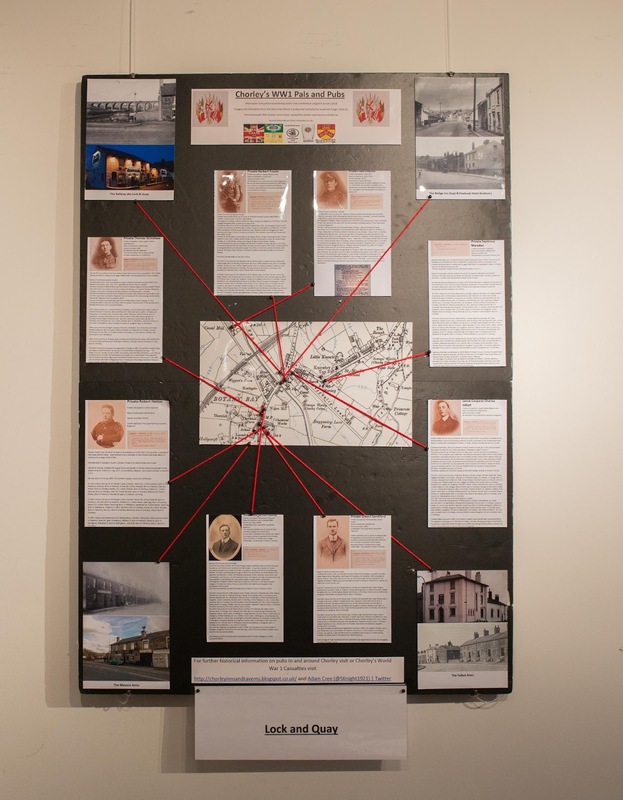 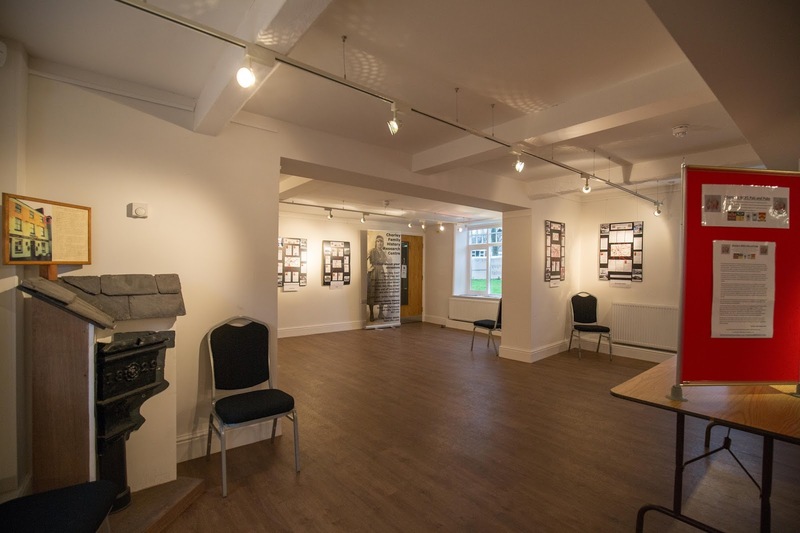 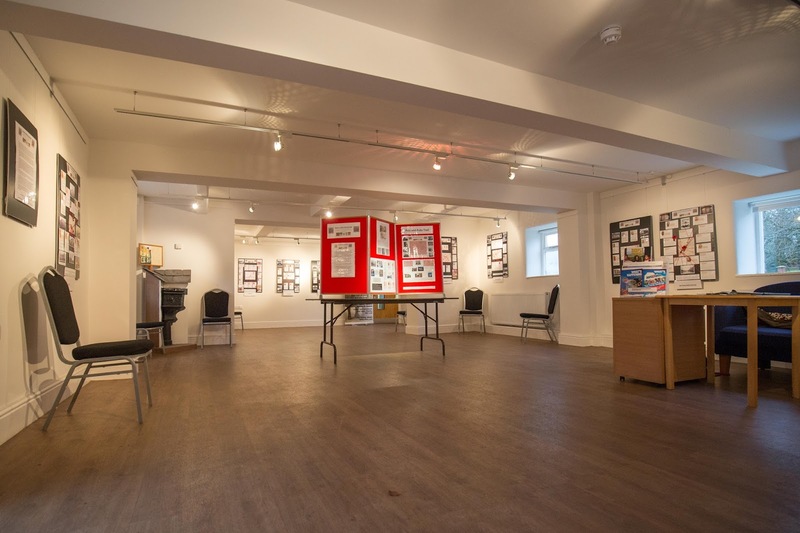 Following the successful exhibition in June that year we started to think how the project could be expanded upon and taken into Chorley’s wider communities. 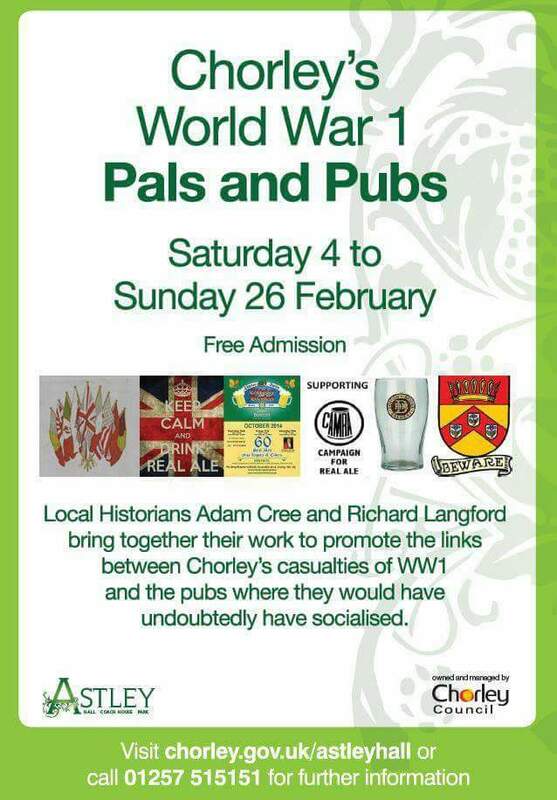 After a couple of pints and a bit of head scratching we agreed to bring together some of our work to promote local history and links to Chorley's casualties of World War 1, the churches and pubs of the town, where they would undoubtedly have visited. 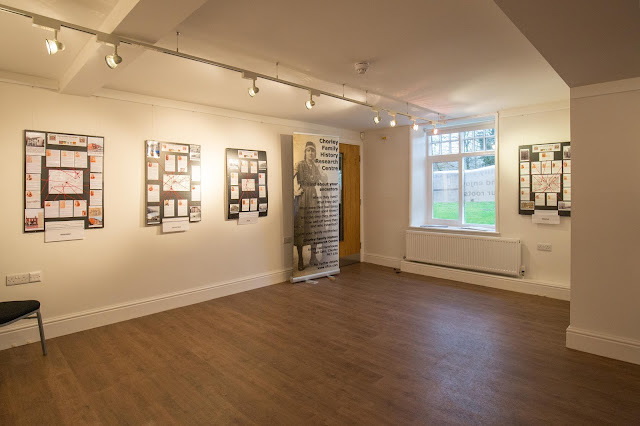 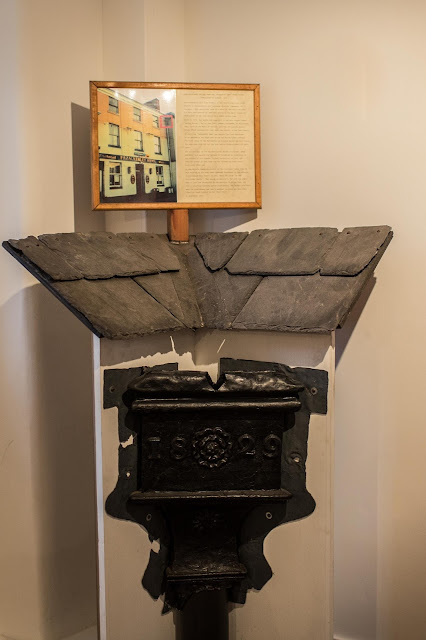 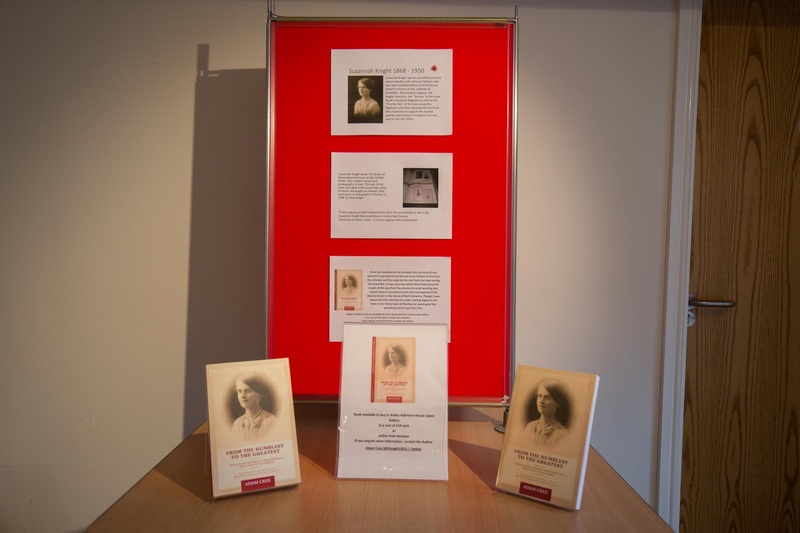 Information from my blog on Chorley’s Inns and Taverns and Adam’s digitised records from Susannah Knight’s memorial album of 1921 were combined to create our own pop-up exhibitions in public houses in and around Chorley. 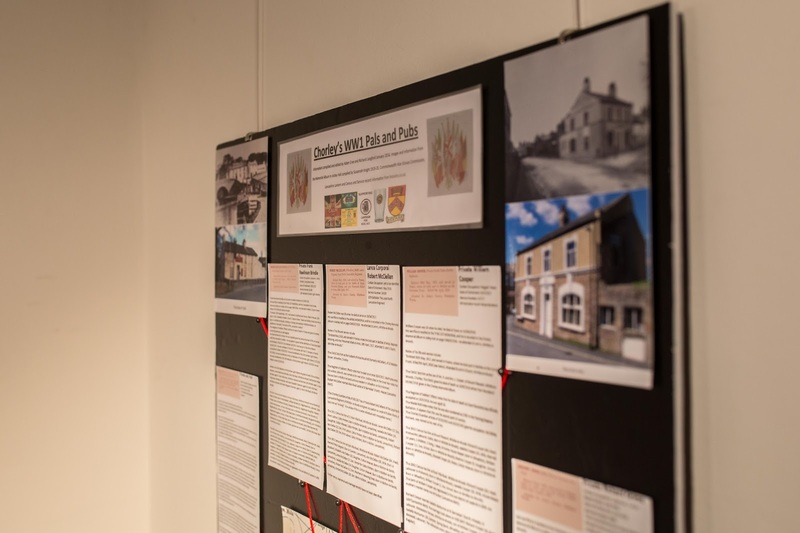 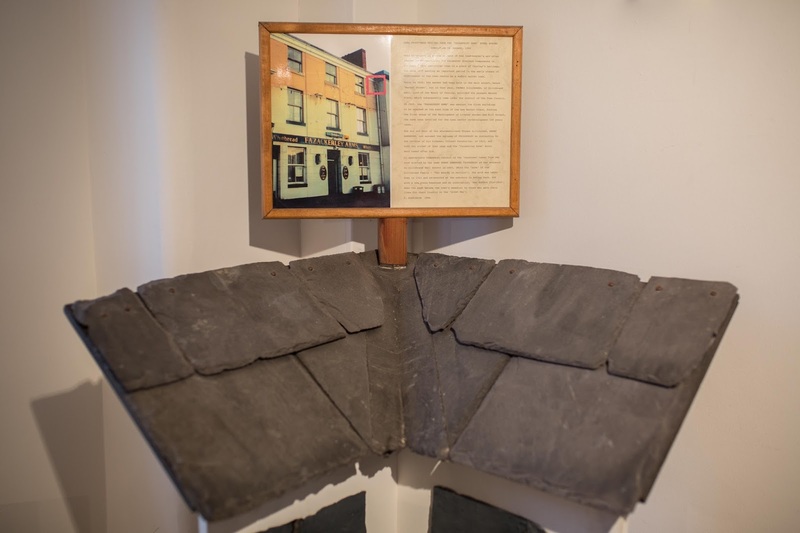 The idea of producing the boards inside the pubs with the assistance of local people proved to be an inspiration, invariably leading to much discussion and debate and brought to life their own memories and family history. The Astley Exhibition is the final part of our Pals and Pubs project and is set to run throughout the month of February 2017 and special thanks for this page must go to local photographers, David Airey and Julie Horner-Kucharski for taking some fabulous memories both of the exhibition as a whole and individual pieces. 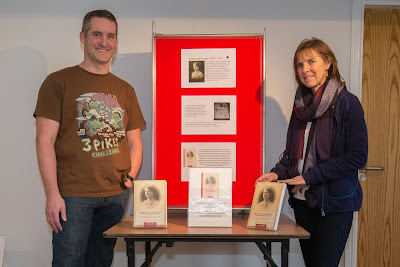 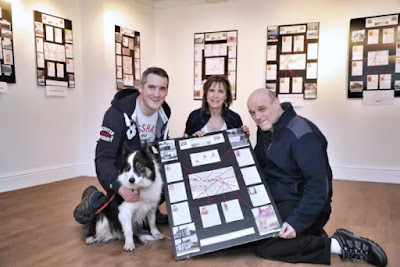 Local Historians, Richard and Linda Langford, Adam Cree and Tinker the dog who have been working together to connect Chorley's Pubs to its casualties of World War One pictured at their pop up exhibition at Astley Hall Farm House, Astley Park, Chorley.